Amongst the assembled group of designers, scientists and coaches it was not easy fully describing good technique. Each person had a view as to which component was more important, and the best way to inject this into their swim classes. It was actually easier to describe bad technique, and how if you slowly eliminated examples bad technique one aspect at a time you would be left with something that could be described as good swim technique. The key words such as rhythm, graceful, relaxed, a lack of splash, a lack of effort, symmetry, propulsion and low levels of drag cropped up— but these are all are quite vague descriptions. Improvements to speed need swim fitness and technique. Improvements to speed need swim fitness & technique. The two go hand in hand, stroke in stroke. 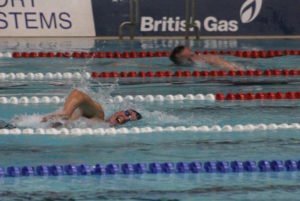 You do not get to be a faster swimmer if either swim fitness or technique are missing. As part of this equation our swim fitness sessions are full of technical pointers, drills, testing, stroke counting & analysis. Have a look at some full stroke swum here from multiple angles. Apologies but due to sharing lanes with the public some locations had better opportunities than others. If you feel you need more attention then our new Endless Pool Facility is now offering lessons with multi angle playback. 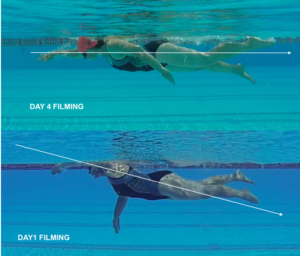 More details here – Fulham The chance to swim against a current is a great way to learn streamline and feel when you are creating drag. Equally the water moving around the body can help accelerate the learning process. Breathing ….both sides or single side? Bilateral Breathing (alternating to both sides) is not the only solution despite what the text books will keep telling you. Until you have control of the breathing aspect of your FrontCrawl (F.C.) stroke it will also not be possible to relax in the water regardless of how often people keep giving you this advice. How often, for how long and when is one of those grey areas that is quite individual to you. The right and wrongs though would include in through the mouth (only) and out when the head is submerged. Don’t wast time exhaling when the head is turned to the side. The best solution is what is comfortable for you and depends if you are racing or training and at what intensities. 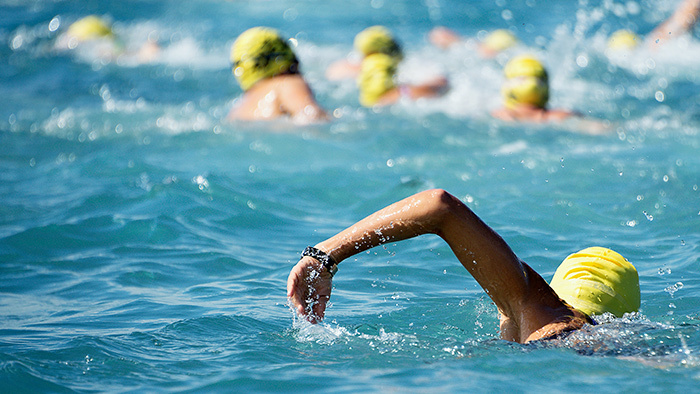 Usually on race day that means each second stroke to keep a healthy flow of air coming into the body. In training however it would be good to mix the pattern to stop any bad habits becoming ingrained. This could include alternate lengths swapping sides. If you struggle to breath to a certain side check your technique for balanced and symmetrical rotation. A lack of rotation to a certain side will impact the heads ability to turn. Try the Torpedo drill to assist here. If the head only turns to one side repeatedly then there will be negative repercussions to body position and arm movements. We always try to balance particular movements so that they are not repeated on their own too many times. Keep in mind the head is a large clumsy object that contributes so much more to fast swimming if it does not move. Keep head movements when turning to breathe, small, fast and fluid. Some coaches will suggest a full exhalation at the last moment before the head turn to keep the body high in the water, others will feel that this added buoyancy to the chest cavity will keep the legs low so to exhale continually. There are arguments for and against both styles but reducing anything that causes tension is desired (so exhale a small amount continually during the face in the water stage) and if you’re legs sit low find out why, there are probably contributing factors. A breathing pattern (B.P.) alternative I like is the 3.2. Here you take 3 strokes between breaths then 2 so it mixes 2 breaths to the left then 2 to the right. You could think of this as 2 breaths per 5 strokes rather then 6 which is slightly less taxing on the system. I try to encourage bilateral breathing (to both sides) at low intensities in training (warmups and subsets, even cool downs.) A key piece of swim equipment to help is the central snorkel that takes the head movement for air out of the equation altogether meaning you get a chance to focus on body position and arm movements. Getting comfortable with the breathing aspect of FrontCrawl is not easy but once mastered will allow you to relax in the water and start to make some big gains. Early on the stroke will dictate when you get to breathe (compare to the bike and run when you are always in charge) which will never allow you to relax. As stroke mechanics improve you will take charge of when you breathe and so allow the stroke to be performed more relaxed. A more relaxed stroke is less aggressive, more economical, needs less air and the delicate balance of pulling on slippery nothingness gets easier. 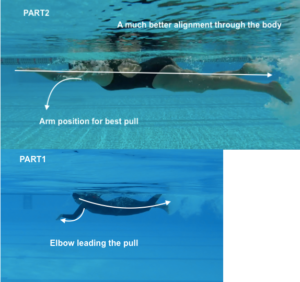 How important is technique when you are learning to swim? 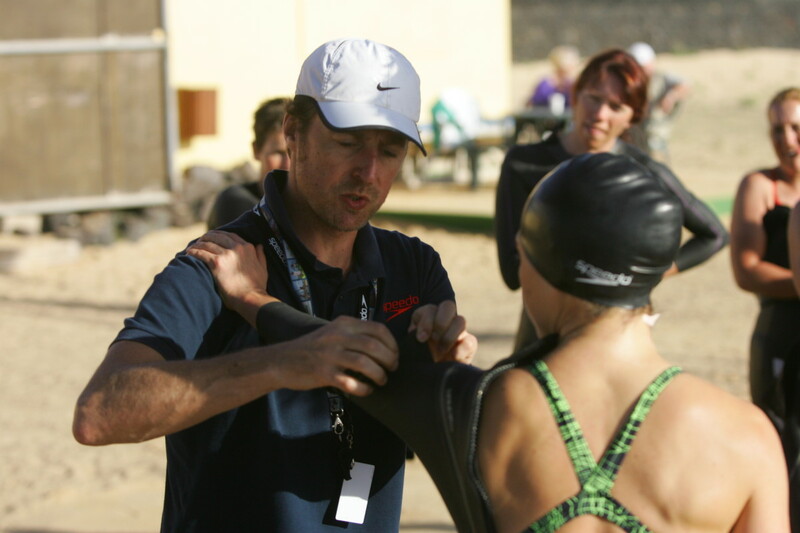 Swim technique is harder to change later in life so the fewer mistakes made earlier when learning the more effective you will be later in your swim career. Can you teach yourself better swimming technique? Not the easiest since most struggle to imagine what they are doing right and wrong while in the water since it is such an alien environment. You can watch good technique, read good technique even picture good technique in your mind but this is rarely translated into correct movements performed. What are the main benefits of having a coach to help you improve? They will be the eyes you need to guide you and describe the mistakes you make. They will help translate the technical points you might be misinterpreting into fluid swimming movements. Which stroke is the hardest to master and why? They all have their complexities but perhaps Butterfly is most the difficult due to the very specific timing issues. If your timing is out you will struggle to take in air. What are the benefits of good swimming technique? Does it improve fitness as well as performance? Good technique will exhaust you less so you can do more of it at a steadier pace. The fitness benefits are well documented but until the mechanics of your strokes are efficient it will be hard to do much more then a few lengths. You are also less likely to injure yourself if the correct movements are made with the correct muscles. If you’ve never thought about technique before, which stroke should you start with and why? FC and Backstroke are perhaps the two least tiring if done well. Backstroke removes the need to time a head turn allowing for air to be taken when you want so could be considered an easier starting point. FC can create concerns since to do it well you need to put your face in the water. Depending on fitness levels and starting point Breaststroke might appear simple but done well is highly technical. Confidence, the ability to relax and timing of the breath should be early aims regardless of stroke. Are there different techniques you should employ for pool / open water swimming and why? 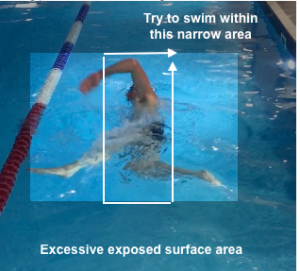 Swim movements do not necessarily need to change due to solely being in OW but you will need to add in a method for sighting and looking where you are going. If you are swimming in a wetsuit this will impact body position so we might take into account this change but legs still kick and arms still pull. What do you think is most important and why: stroke techniques or breathing techniques? Or do you need to have everything working in synch to swim effectively? The two are inextricably linked. Controlled breathing allows you to swim relaxed with a stroke that can be reproduced over and over. Swimming well with good technique allows you to breathe when you want. On dry land, breathing is not an interrupted stop/start function due to only being allowed a short window of opportunity to inhale. In the water until you have better control of your swim technique your stroke will dictate when you get to take a breath and that can only lead to further frustration. 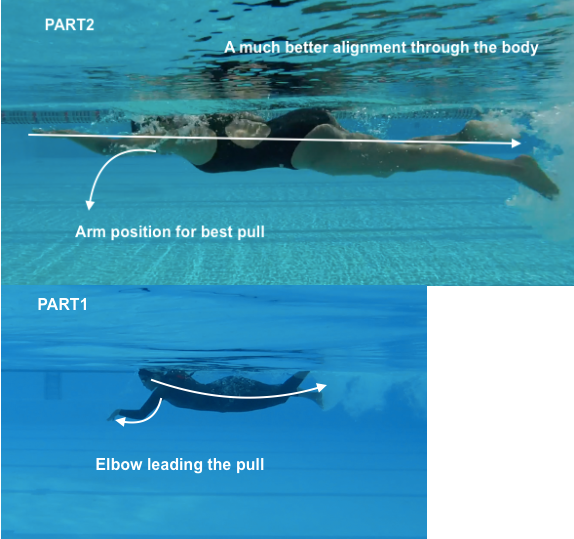 b) a swimming enthusiast, work with a coach, huge gains can be made for modest changes to your swim technique. c) an experienced, high level swimmer? Check progress by performing some specific, reproduce able swim sets each 6 weeks or so. 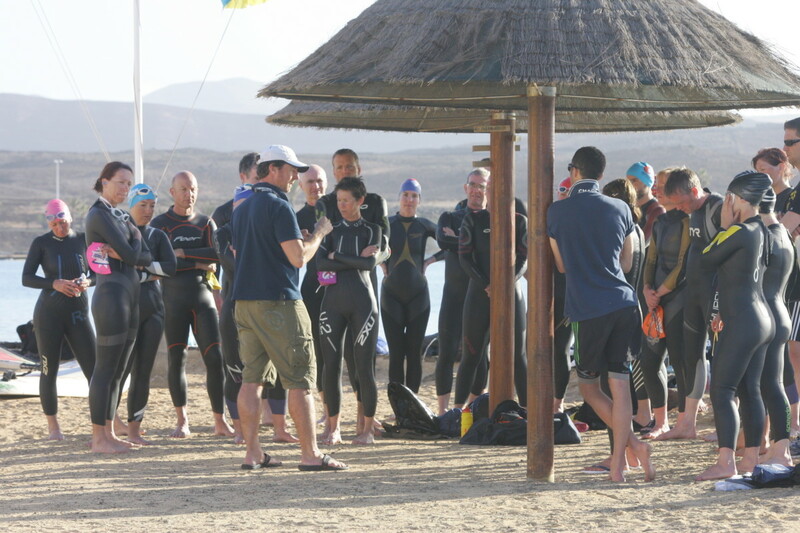 Measure if you are getting faster, fitter or swimming further. Add some accountability to your swimming. It might help get you to the pool on those days you are not so keen to go.